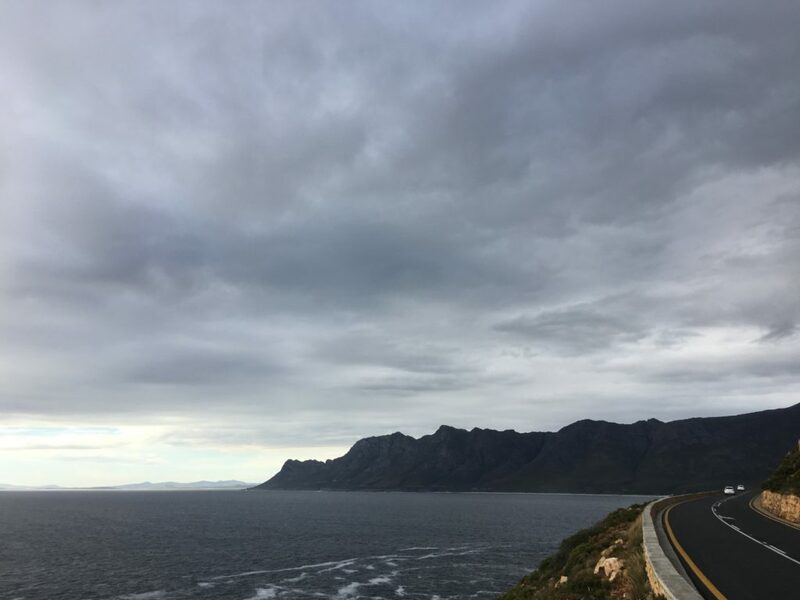 Winter is coming, somewhere on the R44 between Betty’s Bay and Gordon’s Bay. 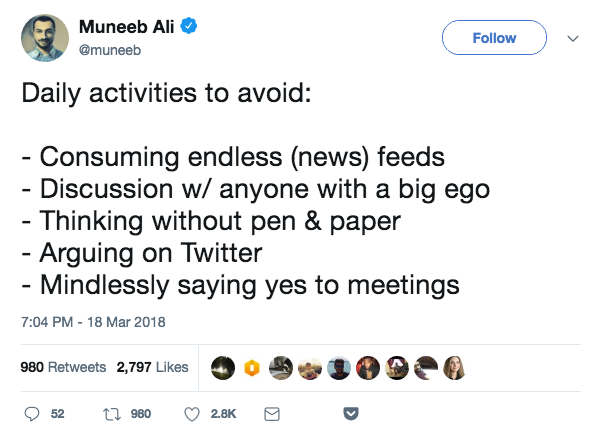 Let me start this week’s edition with something that a friend forwarded, quite ironically, from the dark underbelly of the internet, also known as “twitter”: Most of these resonate with me, except for arguing on twitter. This is not because I disagree, but rather because I sort of went cold-twitter-turkey about a year ago, a departure which has had only positive effects on my humanity, as well as on my trust in the goodness of humans. I still sometimes slip and fall into arguments on other platforms, where the same advice unfortunately holds. On the topic of online arguments, I would like to bring the next interesting conundrum to your astute attention. There is at this moment quite some internet rage due to the details that have been revealed about the extent to which the company Cambridge Analytica managed to exfiltrate social network data from facebook, in order to perform extremely targeted advertising and hence psychological manipulation to get vulnerable users to vote for Trump, and to vote for Brexit leave. Readers of this blog might remember that I already talked about this exact issue one year ago to the day. I even cited this early article in The Guardian mentioning Robert Mercer, Bannon, and Cambridge Analytica and their role in geo-political interference. Do read my posts carefully, and you too can be all like “I knew that a year ago you silly muggles”. Probably more importantly, read The Guardian. (I would like to thank the brilliant Dr Ed Chadwick for introducing me to The Guardian so many years ago in Delft and/or Amsterdam, over either a pint of Irish stout (which he also introduced me to) and/or a Trappist. So the internet is angry (years too late), and everyone and their mom is telling each other to #DeleteFacebook. I too disapprove in the strongest terms of what Cambridge Analytica and its backers did (besides the immorality of the approach, conservative thinking is really primitive), and Facebook facilitated. However, I also think that we find ourselves in a tricky baby-with-bathwater situation. What replaces facebook as the admittedly flawed but largest virtual human gathering ever? Related to this: Facebook is the most accessible publication platform we have ever had. More people have a voice and can be heard than ever before. Do we really want to take that away? Let me know in the comments what you think. I promise I’ll only mine a little bit of your metadata. My arduino – artwork journey continues. Over on vxlabs I have published a short post on the itead shield 3.3V jumper, and a much more interesting post showing a barebones solution (i.e. no additional software) to using the JetBrains CLion IDE for Arduino sketch programming. I hope that these help future travellers on their quest. The original Blade Runner was an important part of my upbringing. This weekend I, up to this point 100% unspoilered, finally got around to watching all but the last 30 minutes of Blade Runner 2049, and I was utterly blown away. It’s true what they say: You can take just about any scene from the movie, and look at it like you look at a painting. The scenes are thought- and emotion-provoking. Without giving anything away, the story is an amazing example of how great science fiction is the perfect mechanism for making us think deeply about strange but extremely relevant human situations. Over the past few weeks, these blog posts have played a small but necessary role in more than one high quality human connection. Each time this happens, the time I spend here feels like it has been rewarded 100 times over. I thank you, and I look forward to the next time that we may meet. < Weekly Head Voices #138: Born to run. Related posts: 🌤 Facebook Like, Share and Retweet buttons in your WordPress 🌤 Weekly Head Voices #136: Slightly more than nothing much. 🌤 Weekly Head Voices #134: SCARF.